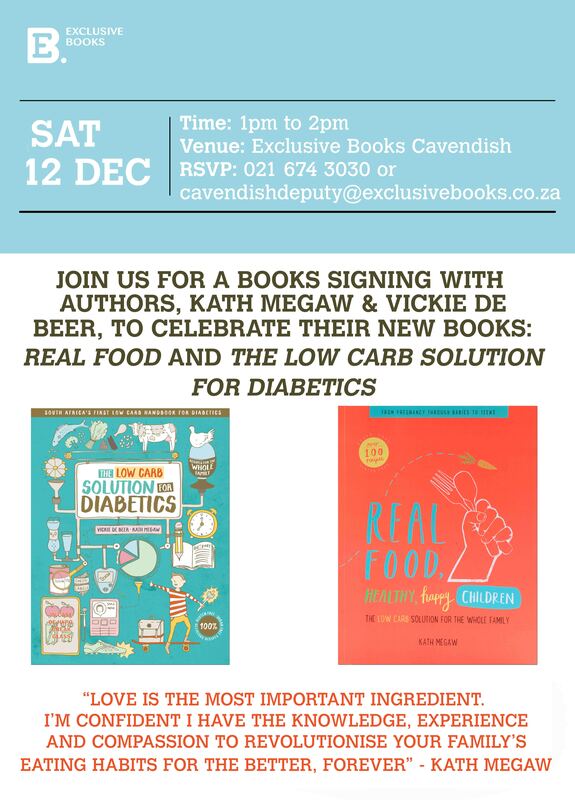 Kath Megaw and Vickie de Beer will be signing books at Exclusive Books Cavendish on Saturday 12 Dec from 1pm to 2pm. 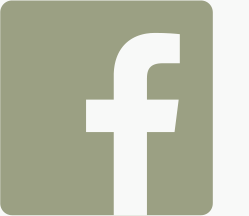 RSVP to cavendishdeputy@exclusivebooks.co.za or call 021 674 3030. 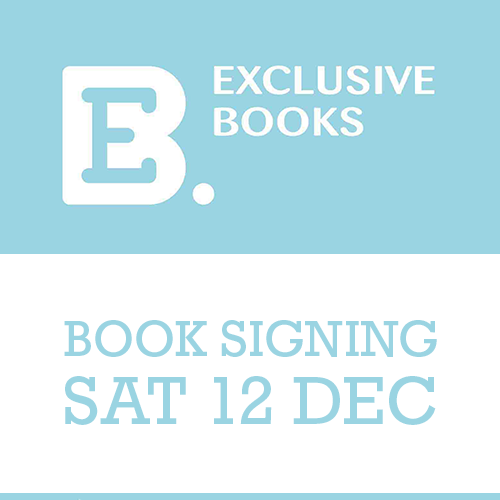 Kath Megaw and Vickie de Beer will be signing books at Exclusive Books Cavendish on Saturday 12 Dec from 1pm to 2pm. RSVP to cavendishdeputy@exclusivebooks.co.za or call 021 674 3030.